After getting swept by the Los Angeles Angels, the Baltimore Orioles will look to save something during this road trip in their upcoming three-game series against the Oakland Athletics. The Orioles (8-23) have won just three of their last 18 games and lost nine straight games on the road as they have been swept in each of their last three series away from Camden Yards. The Athletics (15-16) have dropped four of their last five contests so will look to rebound against the struggling Orioles. Note: Cashner has gone 0-3 with a 7.31 ERA over his last three outings. Mengden struggled in his last start as he allowed five runs over just 2.1 against the Houston Astros. Note: Gausman has allowed just five runs over 19 2/3 innings over his last three starts. Cahill has allowed three runs or less in each of his three outings so far and has allowed just six runs over his first 18 innings of 2018. Cobb allowed just two runs over six innings against the Angels but took the no-decision in the Orioles 3-2 loss. Triggs allowed four runs over just 4 2/3 innings during his last start against the Mariners. Manny Machado is hitting an incredible .358 at the plate with nine home runs and 27 RBI. 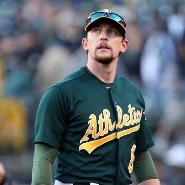 Jed Lowrie is hitting .346 with eight doubles, eight home runs and 30 RBI on the year for Oakland. A’s Mark Canha has gone 11-for- 36 at the plate with eight hits, three homers and six RBI over his last 10 games.